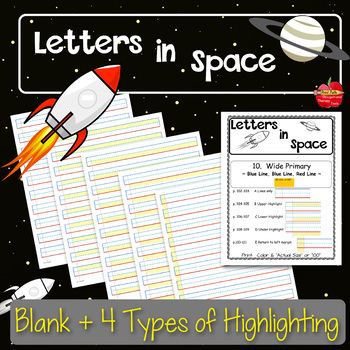 Easy to provide visual supports for your children who need help with their handwriting! If you don’t have time to make or order the paper that your student’s need, this one product has it all! 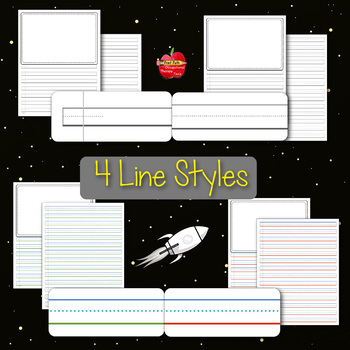 Select the size and style of paper that is perfect for your child. This PDF is organized with a linked table of contents so you can quickly and easily find the perfect paper for your needs. ➣ Time saver! No need to highlight your student's paper, just print and use. ➣ Paper with color cues for letters that are tall, short, or have tails. ➣ All paper styles come with 2 sheets: one for drawing and writing and one for writing alone. Whether you are an occupational therapist, special education provider, or a homeschool parent, this product is perfect for use with a variety of children including those with: Autism, Dyslexia, Dysgraphia, ADHD, Motor Control Issues, Fine Motor Delays, and Perceptual Motor Challenges. 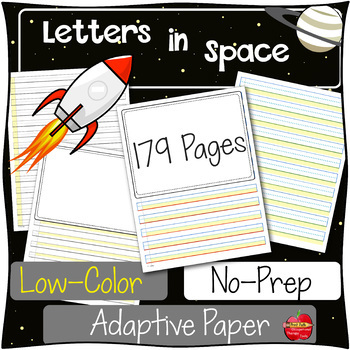 ◉ 179 pages of adapted paper to choose from to fit with your handwriting program and to meet a wide variety of student needs. 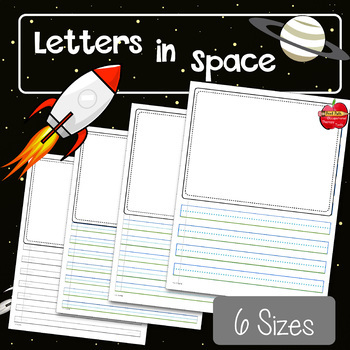 ◉ 16 categories of handwriting paper have been organized and linked so that you can easily find and print the page you want. ◉ Try out many different varieties of adapted paper to find the one that works best for your students, and then progressively transition them to a smaller size writing. ◉ Most sheets require color printing to optimize their effectiveness. All sheets use a minimal amount of ink color. See the preview for more details! * This is a really well-done resource. It's nice to have something that can stay consistent with some features (color-coding) while also adapting things like line size at my students get older. * I LOVE this paper and have used it a lot. * Absolutely cannot beat this for the price. The colored, lined paper you purchase is extremely expensive. * I LOVE this resource!! * Love all the design. Thank you. My son's handwriting improves with the help of this. I used wide margin paper at first and now he starts writing on a narrow margin. * You're amazing! Thank you for this - so many choices, so many uses! Follow PrintPath on TeachersPayTeachers.com to stay updated on discounts and freebies. New products will be offered for free on occasion or discounted at up to 50% for the first 24 hours. Your feedback brightens my day and helps me to continually improve PrintPath products. If you download this product, I'd appreciate it if you'd leave a comment. Thanks! !